Take the Test: Is Albuquerque doing community policing and is it the answer? How do your state’s survivor death benefits compare? Concerns of Police Survivors – C.O.P.S. 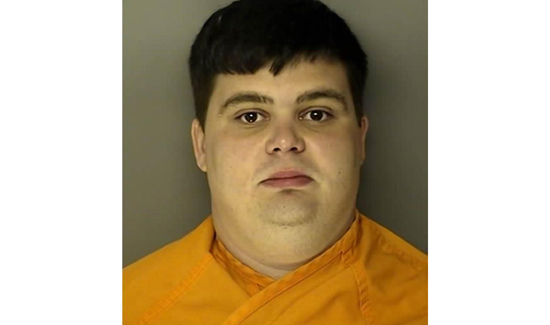 A South Carolina man with white supremacist ties was busted for buying a gun to commit a shooting “in the spirit of Dylann Roof,” according to a federal complaint. Benjamin Thomas Samuel McDowell, 29, was arrested Wednesday after purchasing a .40 caliber Glock handgun and ammunition from an undercover FBI agent. He is an ex-convict who built bonds with white supremacists while serving prison sentences for several offenses, the complaint says. McDowell had been ranting online about his desire to commit an attack, and targeted much of his hatred at Jews. In a Facebook screed weeks later, he said Jews were part of a plot to wipe out the white race. “All they wanne do is stay loaded on drugs the Jews put here to destory white man and they fest on the drugs (sic),” he wrote on Jan. 5, according to the complaint. He also criticized fellow white supremacists for failing to take action, writing that they “ain’t got the heart to fight for Yahweh like dylann roof,” the white supremacist who gunned down nine parishioners at a South Carolina black church in 2015. The next day, he wrote on Facebook that he wanted an “iron,” a term for a gun. McDowell met with the undercover agent one week later, believing the agent was someone who “handled problems for the Aryan Nations.” Speaking in a hotel while carrying marijuana, McDowell told the agent he wanted to unleash a massacre on non-whites and walk away “scot-free” because he feared going back to prison. “I seen what Dylann Roof did and in my heart I reckon I got a little bit of hatred and…I want to do that s—,” McDowell said, according to the complaint. He said he wanted to commit a “big scale” attack and write on the wall of a building, “In the spirit of Dylann Roof.” McDowell never seemed to settle on a location for his planned bloodbath. McDowell arranged to meet the agent on Wednesday, when he bought the gun and ammo for $109. Federal agents then busted him in the parking lot of a Hampton Inn. He faces a charge for felon in possession of a firearm. Calls to a number listed for his family were not returned. Copyright © 2019 by American Police Beat Magazine.